11:00 AM in Historic Powhatan Courthouse. 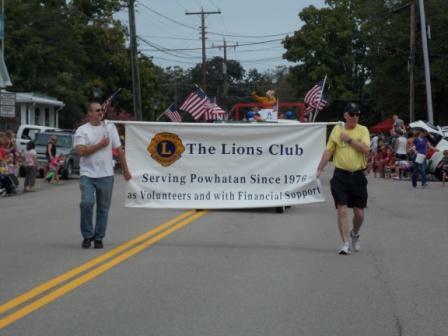 The Powhatan Lions are pleased to sponsor the Powhatan Labor Day Parade again on September 3, 2018. This will be our 7th year and with your help it will be better than ever. You are invited to participate in the Annual Powhatan Labor Day Parade as a parade entry or as a vendor with a booth display on the Powhatan Village Green. 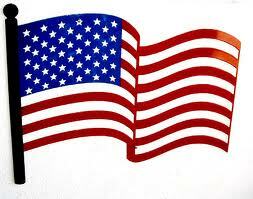 The parade is at 11am on Monday and booths can be set up on Sunday, September 2nd at 6pm. A member of the Lions Club will be present to direct you to your assigned space. Parade participants will gather at 9:30am on Monday 9/3/18 at the Powhatan County Library on Mann Rd for parade line up positions. This is a wonderful way to advertise your company, product, club or organization before hundreds of Powhatan residents. Entry fee for a parade participant is $20, for a non-profit organization on the Courthouse Green it is $20 and for a for-profit organization on the Courthouse Green it is $25. All checks are payable to the Powhatan Lions Club which is a non-profit service organization. All proceeds are used to support our charitable projects in the community. Only parade particpants who are part of the group who registered may participate. Please feel free to be as creative as you wish when decorating your display and have a wonderful time. If you are giving out candy or other items, please pass it out and do not throw it as little children may run into the road way. Just a couple of reminders. If you are preparing food or drink on site then Powhatan County requires a health permit. You can contact them at 804-598-5680 ext 2609. The Powhatan Lions require a certificate of insurance for food vendors, naming the Powhatan Lions Club as an additional insured. You must have both of these to particpate in the parade. If you have any questions or would like to participate please contact Allen Minter at PowhatanLionsParade@gmail.com or 804-357-0853. You can drop off parade entry forms at New Horizon Bank in Powhatan. 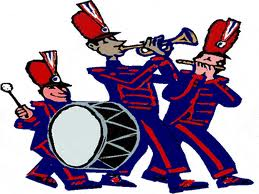 Get your Parade Entry Form here!